In 2008, all Elsevier journals were enrolled in the Committee on Publication Ethics (COPE), so editors would have an alternative information resource when faced with research misconduct cases. In this interview, current COPE Chair, Dr Virginia Barbour, discusses recent changes to the organization and outlines some of the benefits that membership can bring. When a handful of medical editors set up the Committee on Publication Ethics (COPE) back in 1997, they hoped that pooling their knowledge would help them tackle the ethics cases they were witnessing on their journals. Fast forward 16 years and COPE can claim more than 8,700 members spanning a variety of disciplines across the globe. While the organization has undergone tremendous change – particularly over the past five years – that original goal of editors offering their peers non-judgmental advice remains central to all COPE’s activities, says current Chair, Dr Virginia Barbour. * Taken from the About COPE page on the organization’s website. Dr Barbour became aware of COPE in 1999, when she was working on The Lancet in the role of Molecular Medicine Editor – The Lancet Editor-in-Chief, Richard Horton, was one of COPE’s founding members. At that stage, COPE still had a fairly relaxed structure, with no formal constitution. In the years that followed, membership expanded, a constitution was established, internal communications evolved, and the Council became more global. A group of officers was appointed (all voluntary) – the Chair, a Vice Chair, Treasurer and Secretary – and paid staff were added. These have all become crucial to the smooth running of what is now quite a complex organization. Another two important steps have been the introduction of online consultation sessions (still in early testing) and an International Advisory Group. Dr Barbour has also steered COPE through a strategic review which involved having a “hard think” about what its principles should be. She said: “COPE’s primary purposes are now much clearer; we exist for the support and education of members and we enable them to solve cases – on their own. That last point is absolutely the thing that members appreciate. When editors approach COPE for advice on a case, the first step is to direct them to the resources on the COPE website. Dr Barbour said: “Many of the problems they experience we will have encountered before, for example, authorship issues are tremendously common.” The website contains flowcharts to help editors make decisions on many publishing ethics dilemmas, such as ‘What to do if you suspect redundant (duplicate) publication’ and ‘What to do if you suspect a reviewer has appropriated an author’s idea or data’. There is also a database containing details of, and advice given on, the 500+ cases COPE has discussed since its inception in 1997. Work is currently being carried out to increase the effectiveness of the database’s search function. COPE also hopes that an ongoing reclassification exercise will help it understand which areas of research misconduct are becoming more prevalent and require more focus. Dr Barbour continued: “If an editor feels their case is not so simple, or they need a bit more support, e.g. they are a first-time editor, or are under pressure from someone, then we suggest they bring the case to one of our quarterly Forums, where it can be discussed by up to 60 editors. Another option shortly will be to submit it for an online consultation session. Dr Barbour has seen firsthand the value that discussing a case at the Forum can bring. She explained: “At one North American Forum, a member mentioned that they were puzzled by the behavior of an author who had fabricated, or inaccurately reported, references on a paper. It sounded odd, but minor. Then another member said ‘that’s weird’ and related a similar story. It turned out that the reference fabrication was just one aspect of a wider case and between them they uncovered misconduct going back years. Receive advice on individual (anonymized) cases from members of the Council and other COPE members at Forum meetings each quarter. Access advice on a more regular basis via the new online consultation service. Attend the COPE seminars (free for members) where real-life, anonymized cases are debated. Access the recently revamped eLearning course, and invite co-editors to participate. Use the ethics audit tool to see how well your journal matches COPE’s guidelines (log-in required). Use the COPE logo in your journal. Apply for COPE research grants. Stand for election to COPE Council. Receive the new eNewsletter, COPE Digest: Publication Ethics in Practice. Use COPE’s range of sample letters (log in required). Flowcharts on how to handle common ethical problems. COPE’s searchable cases database, which contains details of, and advice given on, more than 500 cases. COPE’s Code of Conduct and Best Practice Guidelines for Journal Editors, which contains a blend of mandatory and aspirational guidelines. An array of other guidelines, covering everything from how to peer review ethically to retracting a paper. Discussion documents on topics such as responding to anonymous whistle blowers, text recycling and electronic responses to blogs and journal articles. 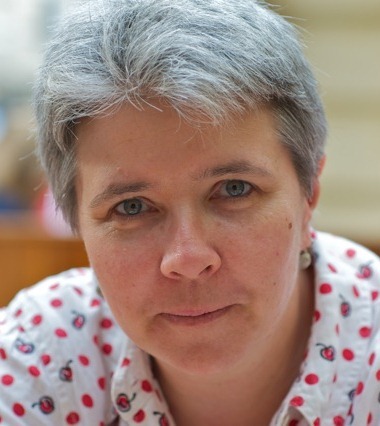 Virginia Barbour joined The Lancet in 1999, becoming Molecular Medicine Editor in 2001. She joined the Public Library of Science in 2004 and was one of the three founding editors of PLOS Medicine. She was Chief Editor until September 2013 and is now Medicine Editorial Director for PLOS. She initially studied Natural Sciences at the University of Cambridge, and then Medicine at University College and Middlesex Hospital School of Medicine, London. After training in hematology at the Royal Free Hospital, London, she continued her studies at the Institute of Molecular Medicine in Oxford, before carrying out postdoctoral work in the Division of Experimental Hematology at St Jude Children's Research Hospital in Memphis, Tennessee. Alongside her role as Chair of COPE , Dr Barbour is a member of the Ethics Committee for the World Association of Medical Editors (WAME). She has participated in discussions on revisions to CONSORT statements, the QUOROM statement and was involved in the first meetings of the EQUATOR initiative. * Dr Barbour was interviewed for this article by Linda Willems, Editor-in-Chief of Editors’ Update.